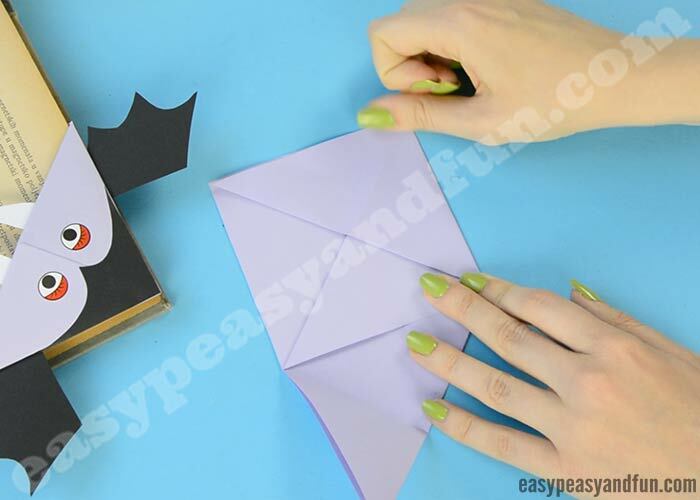 If you want a DIY corner bookmark that is ready to take a bite into your book, this Vampire corner bookmark is certainly one to make. 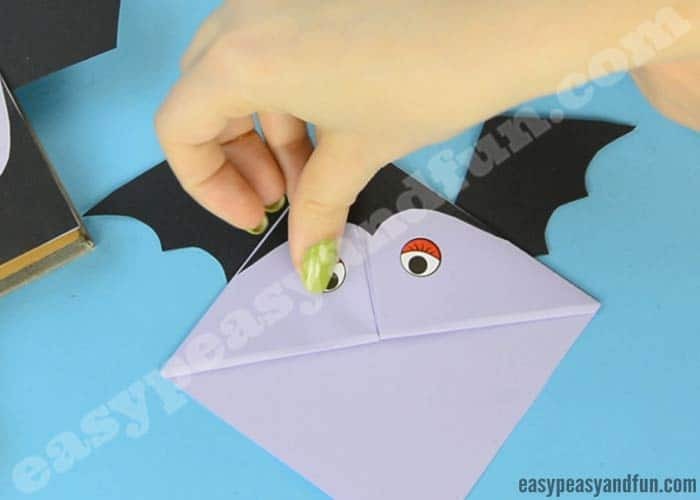 These Halloween corner bookmarks will be a wonderful activity on your Halloween party and they also make a great party favor. 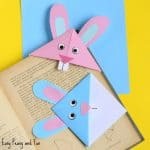 We love coming up with new and unique corner bookmark ideas, these are a great and easy origami for kids and beginners as they don’t require a lot of folding and are insanely easy to make. 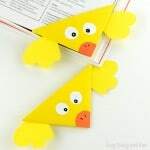 Plus as there are a ton of ways you can decorate them, kids will be thrilled to make more and more! With Halloween just around the corner, a spooky design was in order – we made a cool bat design and a cat one last year and a vampire (or count Dracula) is ready to join the ranks. 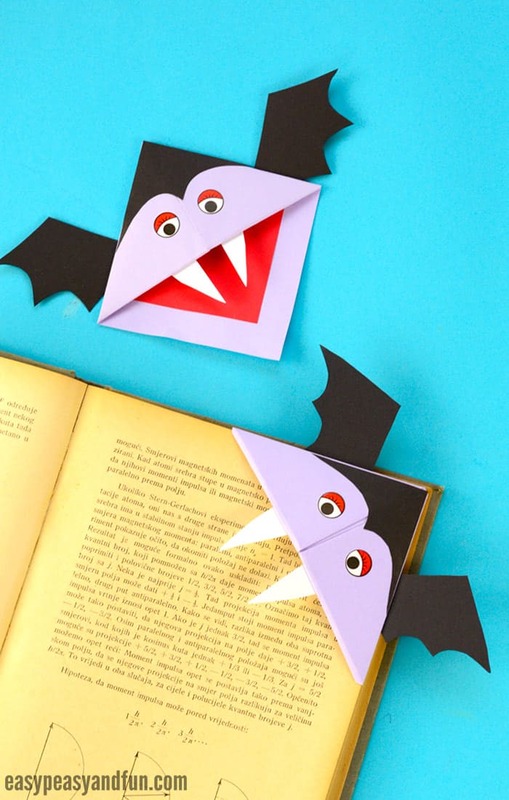 As far as Halloween corner bookmarks go, this one just might be our favorite (for now). 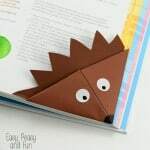 These are easy enough for most kindergarteners to make (depends on their fine motor skills), so can make a great classroom project (older kids will manage without any issues), or will be a fun gift for teachers to give to their students (and other way around). 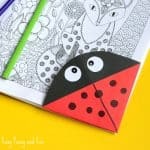 As they are super quick to make, they can also be a frugal party favor at your Halloween party for kids and kids at heart. 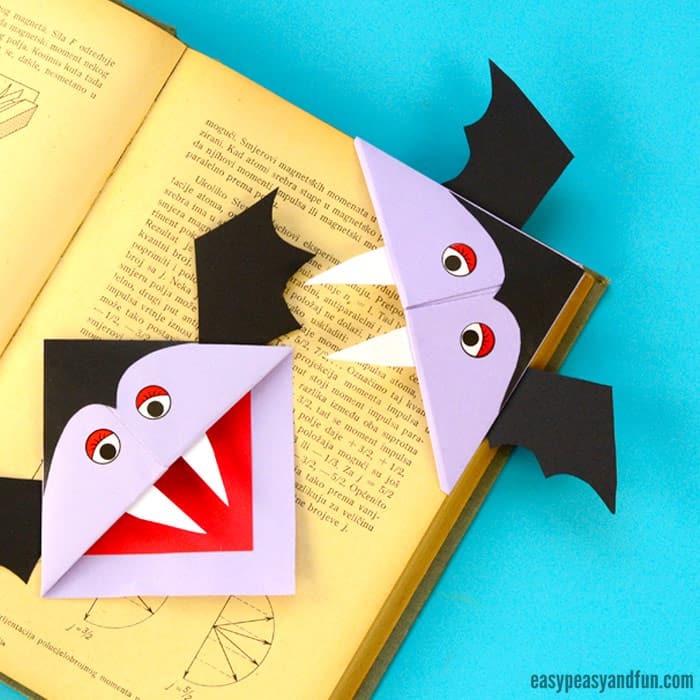 Ready to fold your own Vampire corner bookmark! Let’s start folding! Time to take a bite at this one! 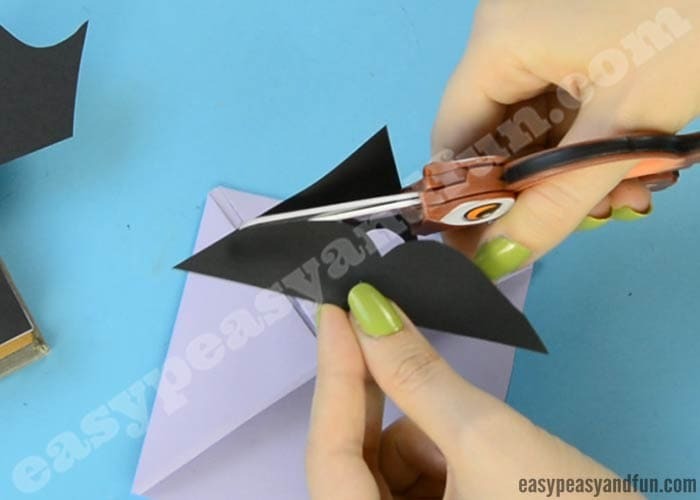 Take a sheet of origami paper or a regular sheet of paper. 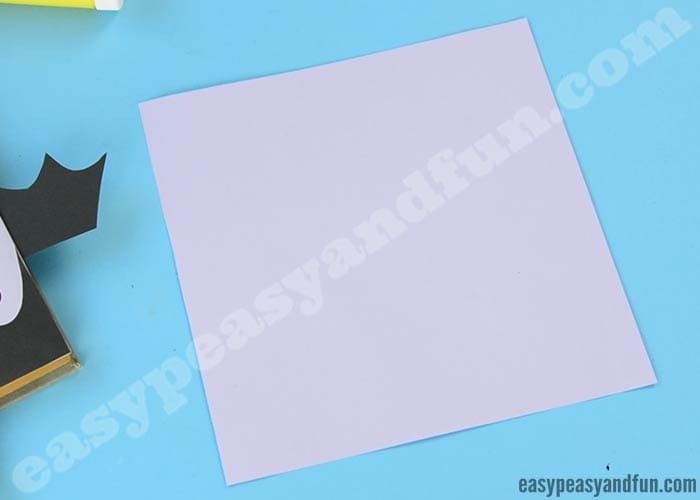 We used regular print paper and cut it into a square. 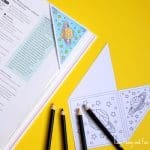 Fold the square sheet of paper in half, making a triangle. Fold one layer of the triangle from top to bottom (grab hold at the top of the triangle and fold it towards the bottom center). Fold the right corner to the center of the triangle. Now fold the two corners towards the top. You will get a square / diamond shape. All there is left to do is to tuck those two corners into the pocket that has formed when you folded them towards the top. Now comes the time to transform this regular looking corner bookmark into a vampire corner bookmark. Cut off a corner out of a sheet of black paper. 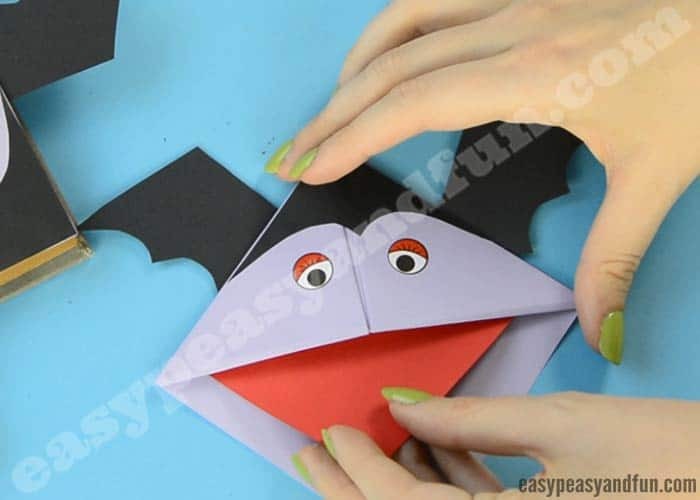 And glue it on the top of your Halloween corner bookmark. 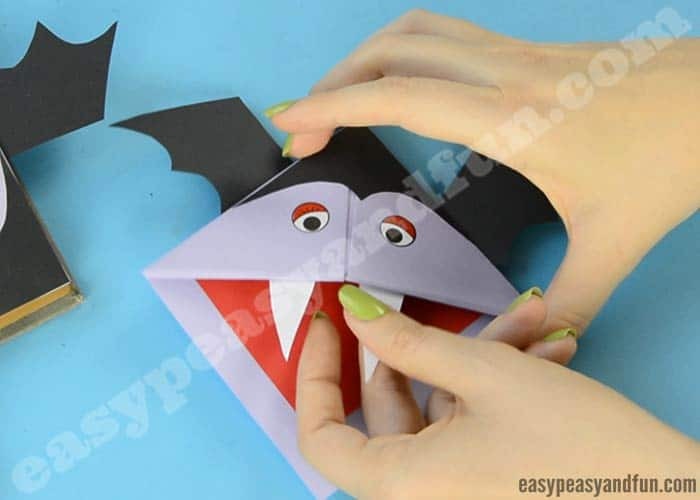 Fold the sheet of black paper in half, and with a pencil draw the Vampire wings. 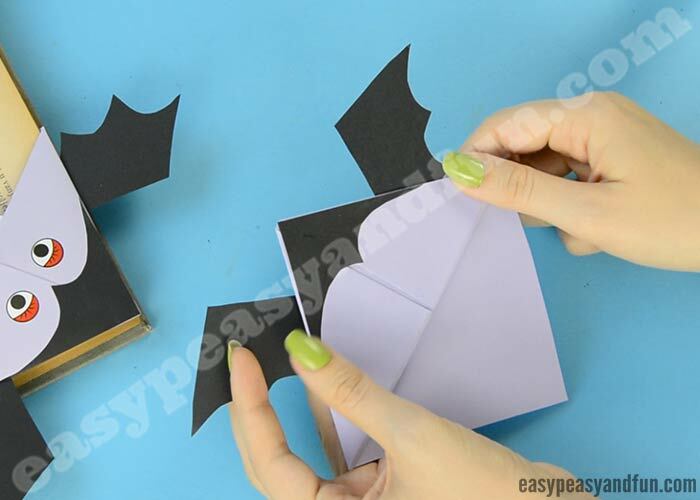 Glue the wings on the back of your dracula bookmark. 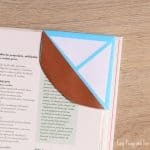 Cut a square out of red paper (it needs to be smaller than the bookmark), apply glue and stick it inside the bookmark. Cut two fangs and glue them inside the bookmark. There! 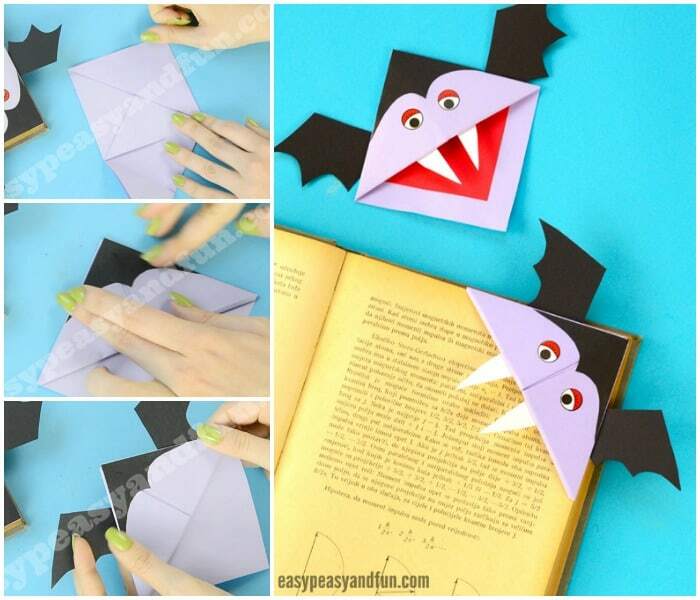 You have made a fierce looking vampire corner bookmark.